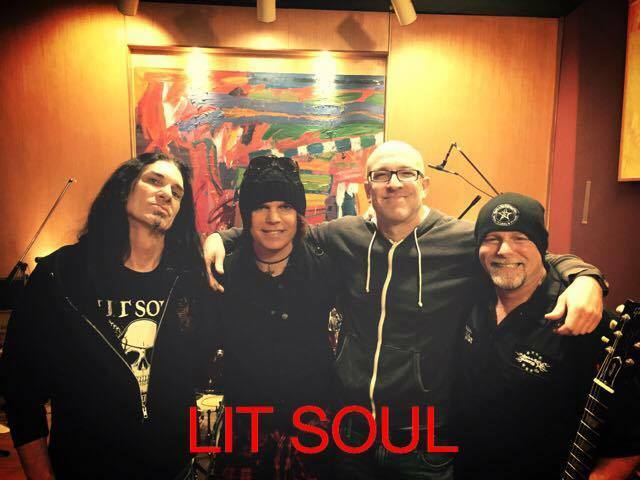 LIT SOUL, a hard-driving melodic hard rock band from Los Angeles that advocates liberty in the modern age, are currently in the studio with legendary producer Bill Metoyer (Slayer/Armored Saint/Sacred Reich/Fates Warning) working on an epic song entitled “You Blessed My Eyes with Your Cruelty.” Ronnie Borchert (M!SS CRAZY, Welcome to the Freakshow) has jumped onboard for the final mixing stages. This so ng (YBMEWYC) truly is a masterpiece, and takes the band to an entirely different level with a new and fuller sound. It goes in a direction that they have not touched yet, but completely makes sense within the LIT SOUL musical umbrella. When asked about the inspiration behind the song, LIT SOUL founding member Rob Chevelle stated that it is a song he wrote about a past relationship that others can probably relate to as well. Their current lineup is the best one to date and includes Dan Tomas Sauceda, who is also in Snew, and Steve Sampson on guitar, who is currently in a “Rocking Blues” band called The Unusual Roosters. 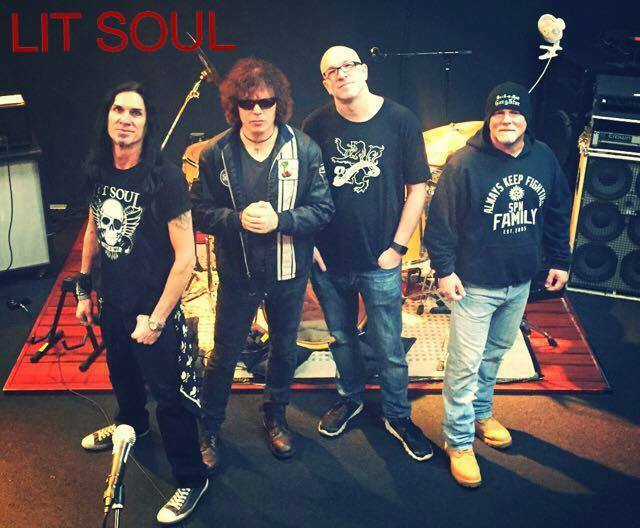 Drummer Ty Dennis, who is most known for his work with The Doors of the 21st-Century and Ian Astbury, has been a staple in LIT SOUL since early 2009. Vocalist Rob Chevelle is the primary songwriter and plays guitar. Chevelle is extremely excited about this lineup, and has stated that it’s like bands are supposed to be, and were back in the day. They really are a brotherhood of friends who have an undeniable chemistry and continue to create/produce new and original music together. 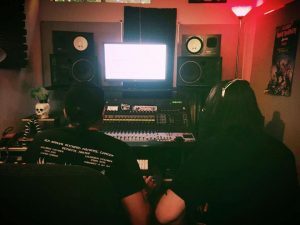 LIT SOUL plans to release “You Blessed My Eyes with Your Cruelty” with a video, directed/produced by Matt Zane (Society 1, John 5, Static X, Wednesday 13), and the song will be available on digital download on their official website, iTunes, Amazon, CDbaby, Spotify, etc. The tentative release date is Saturday, June 3rd. The band have been working closely with Zane since late 2015 and are looking forward to their first video with this lineup. LIT SOUL will be booking shows in the Los Angles area once YBMEWYC has been released, and is looking into a Las Vegas show in the near future as well.